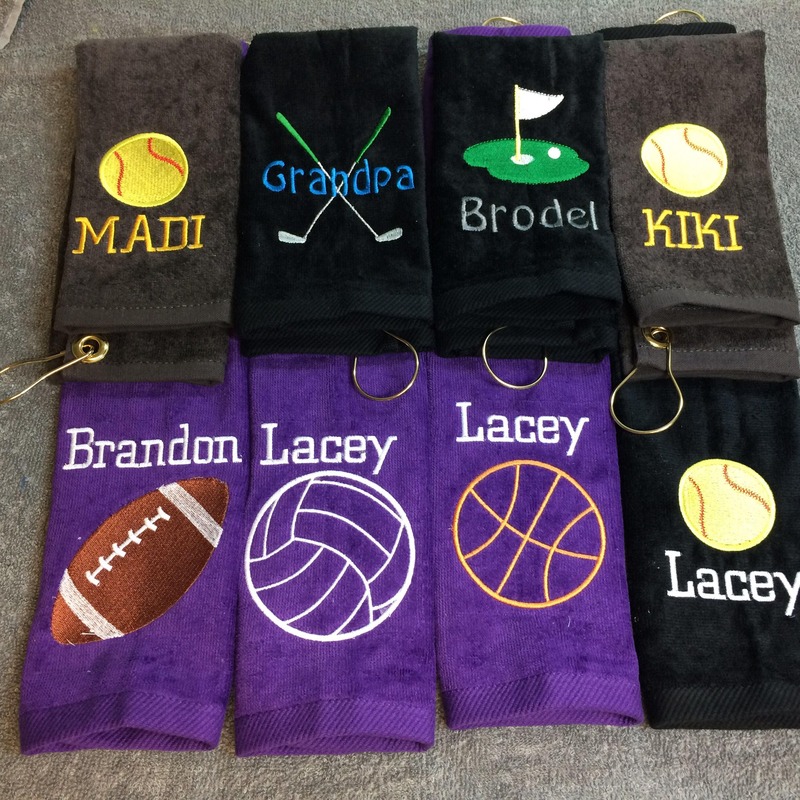 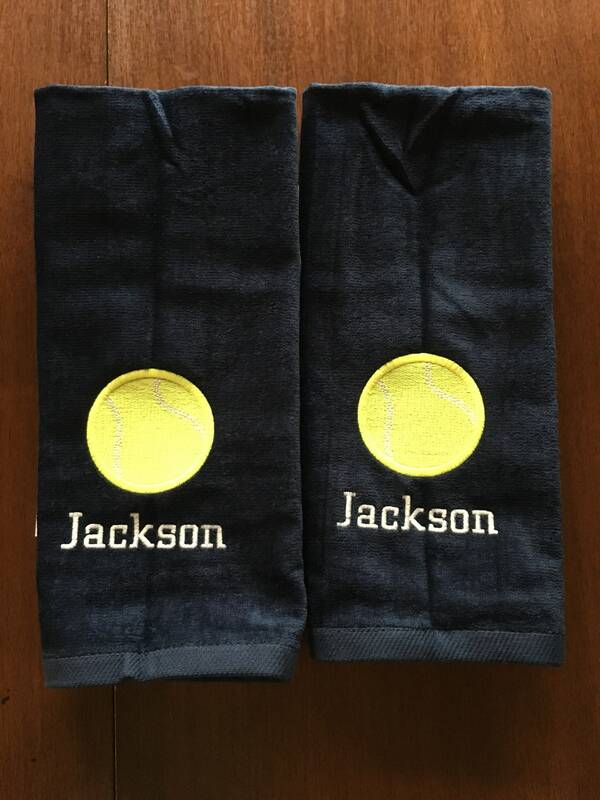 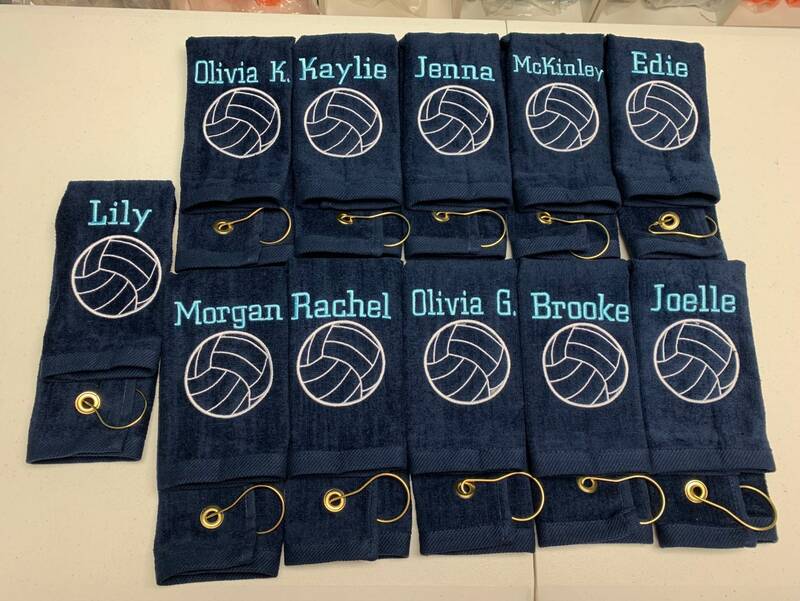 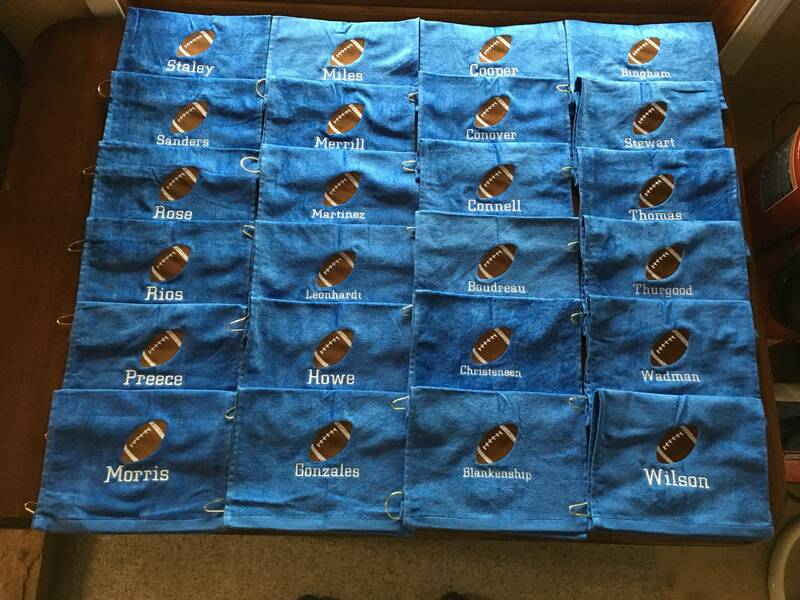 Personalized Embroidered towels for sports. 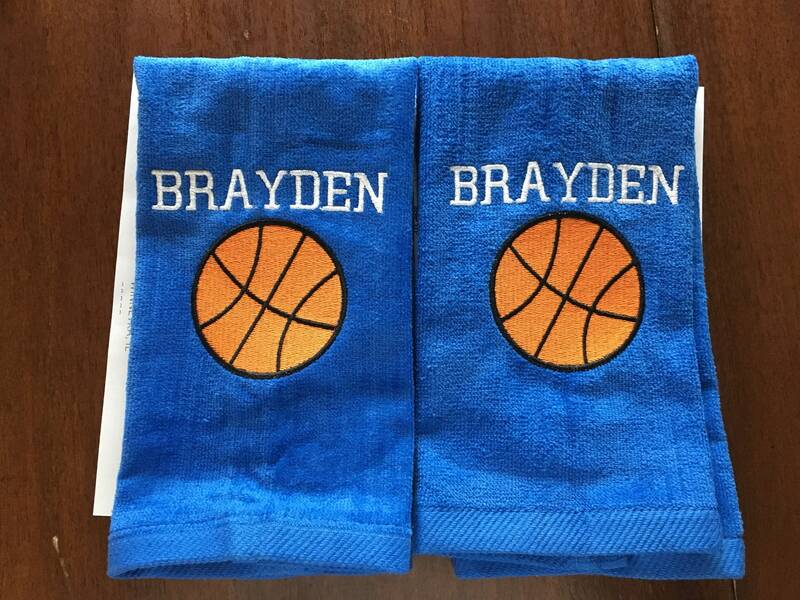 football, basketball, volleyball, tennis, track, baseball, softball, track, wrestling, golf, bowling and many more available. 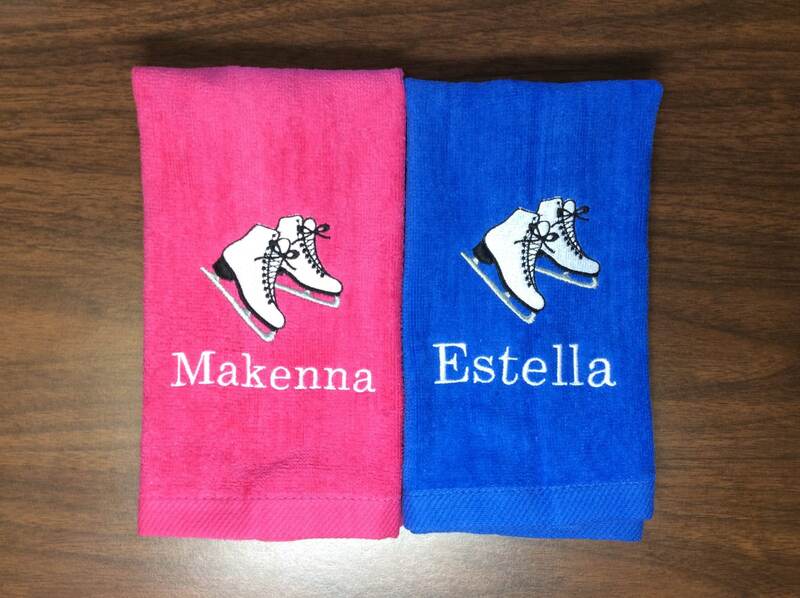 Towel with any one sport design and lettering. 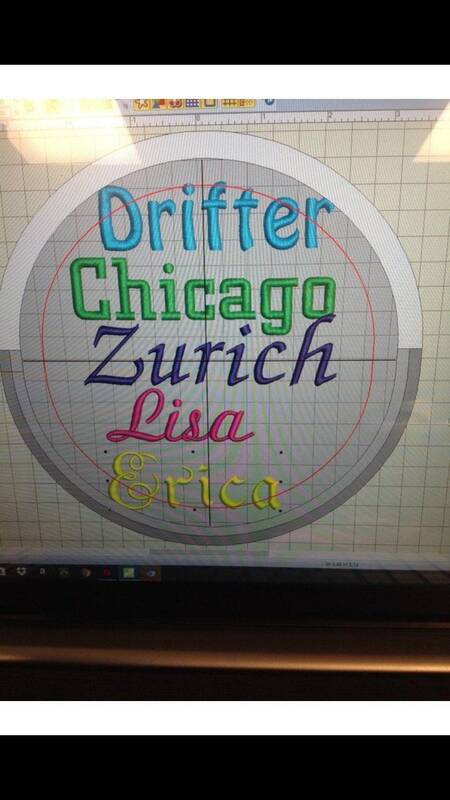 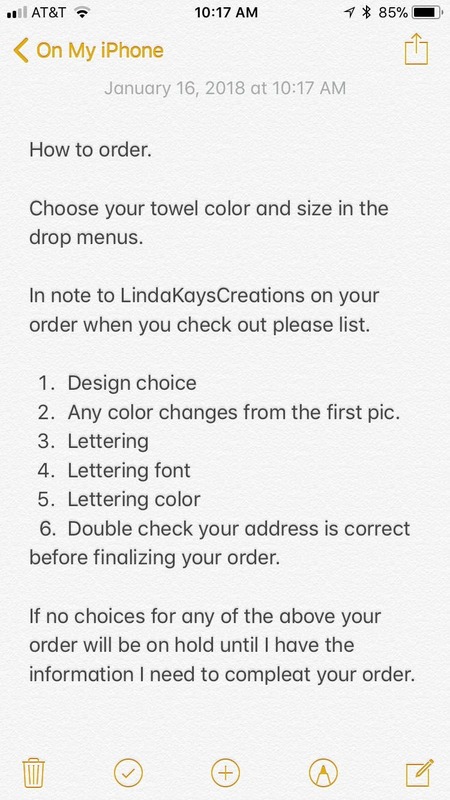 Choose color and size in drop down. 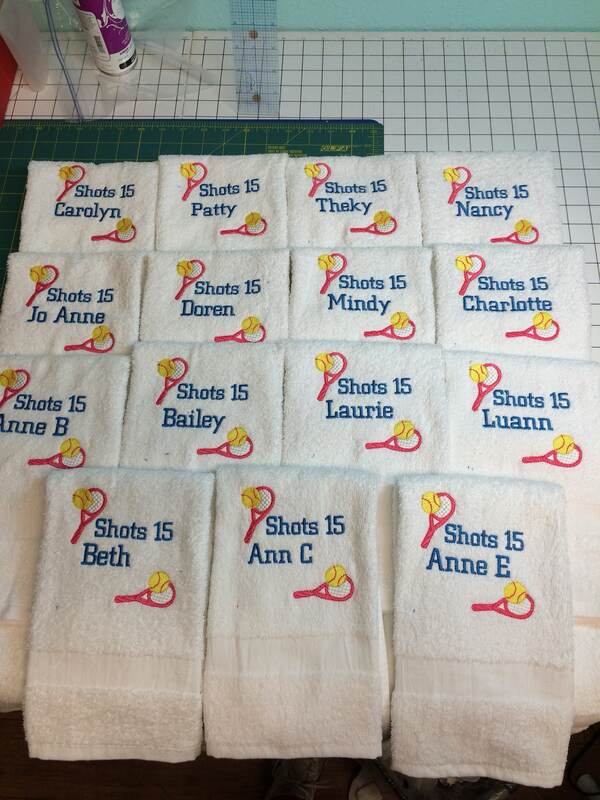 This listing is for one towel please list sport, lettering and colors.